Ten years ago I was 25 weeks pregnant with my first child and had nothing but hopes and dreams for a future with my newborn. Little did I know what was going to happen within a matter of weeks and that my entire life would be turned upside down. On the morning of February 20, 2004, I was finally feeling better after a week-long bout with a urinary tract infection, and I was looking forward to getting back on my feet. Later that evening, however, I developed a sudden and very severe headache, and within minutes I started vomiting. My husband and I thought it was just part of being pregnant, but since I was throwing up so much, we thought I should be examined to make sure the baby was okay. What happened over the next 48 hours changed my life forever. With doctors rushing around me, I was put on a magnesium sulfate drip and rushed by ambulance to another hospital that had a Level 3 NICU. My blood pressure skyrocketed, and I was in and out of consciousness. On Sunday, February 22, at 6:30 pm, I had an emergency C-section to deliver our baby girl at 26 weeks gestation. She weighed only one pound, eleven ounces. We named her Grace. Grace was a fighter. She remained healthy in the NICU for eight days, while I fought for my life in ICU. Within a day of my release from the hospital, Grace developed an infection in the NICU and was simply too small to fight it off. She passed away on March 2, 2004, at the age of eight days, twelve hours and 35 minutes. The next few days were surreal as I had to go through the motions of preparing to now bury my baby girl who wasn't even supposed to be born yet. All my hopes and dreams for the future were gone. I couldn't believe it. But on the morning of her funeral, I woke up and looked at her picture on my wall, and I suddenly knew with everything in me that the purpose of her life would not end with her death. 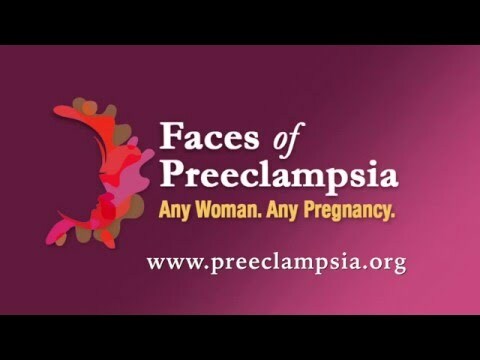 After a few months passed, I found the Preeclampsia Foundation online. It was a relatively young organization but the fact that I could connect with other women who had experienced my loss was life-saving for me. My husband and I agreed we wanted to host a fundraiser in Grace's memory to help raise money for the Foundation, so that other women could receive the education they need to help prevent a similar loss. With the help of friends and family, the inaugural Saving Grace - A Night of Hope benefit was held in Minneapolis in October 2005. We raised a net total of just over $50,000. We were thrilled. Little did we know that the event would become one of the Foundation's signature events. Over the past nine years, Saving Grace - A Night of Hope has raised $1.2 million for education and awareness of preeclampsia. This year, 2014, marks ten years since Grace's birth, and will be the tenth annual Saving Grace - A Night of Hope gala. As you are making plans to participate in and support the Promise Walk for PreeclampsiaTM this May, also make plans to join us on Friday, September 12, 2014, for the tenth annual Saving Grace - A Night of Hope. The benefit will return to Minneapolis to honor its origin. We will celebrate the many hundreds of thousands of lives impacted by the Foundation worldwide as a result of the money raised through the gala over the years. This truly will be a milestone for the Foundation and an amazing tribute to how one life, no matter how short, can impact so many others. Contact Jaime Nolan for more information about getting involved to sponsor or support. The Long Journey to New Patient Education Guidelines Began with Whom?